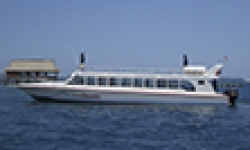 Gilibestdeal.com is an online booking agency for cheapest Gili fast boat tickets. We work directly and undersigned contract to the most reliable fast boat companies since 2007. Our customer support is online 24 hours for bookings. In 2013 we release a new booking system in order to make easier reach the clients. We are the local leading online booking with the experience over 10 years in arranging the fast boat tickets. Our company is licensed under the Indonesian Integrated license service. 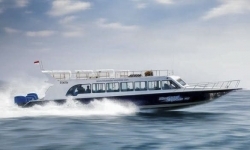 The main services are providing cheapest Gili fast boat tickets from Bali, Gili Islands, Lembongan, and Lombok. We also arrange the hotel transfers and some tour packages in Lombok and Gili Islands. 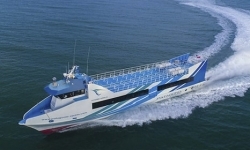 The destination Lombok has 2 main port for the fast boat transfers. The first is Bangsal and the second is Senggigi port. 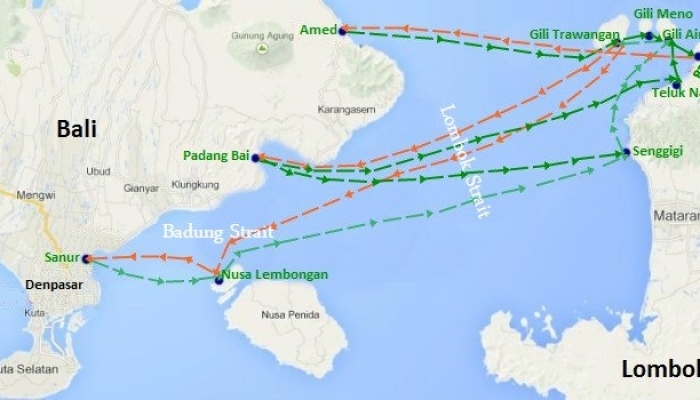 Bangsal is the most used port for fast boat transfers between Bali and Lombok, while Senggigi has only 2 operators. 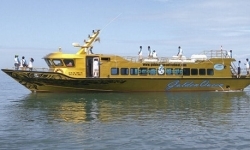 The fast boats which go from Senggigi are Scoot Fast Cruise and Golden Queen Fast Boat. They depart at different times every day. Scoot scheduled at 12.30pm, while Golden Queen depart at 11.00am. The boats which depart from Padang Bai are Wahana Gili Ocean, Eka Jaya fast Boat, and Golden Queen. 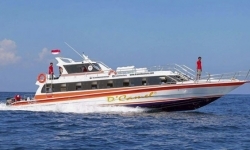 These fast boat operators depart daily from Padang Bai to Gili Islands and Lombok. The boat which departs daily from Sanur to Gili islands and Lombok is Scoot Fast Cruises. 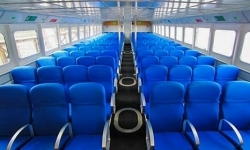 The Blue Water Express is offering a daily departure from Serangan. 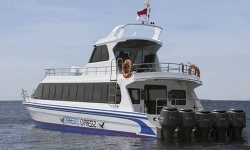 Freebird Express II and Kuda Hitam Express operate from Amed to Gili islands and Lombok. They offer a daily schedule in the morning and occasional depart in the afternoon. 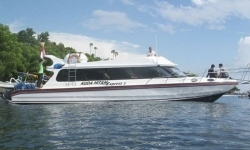 The Rocky Fast Cruise and D'Camel Fast Fery operate between Sanur and Lembongan. 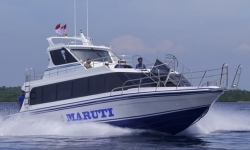 While Maruti Duta Express offer daily fast boat from Sanur to Nusa Penida. The fast boat trip duration from Padang Bai to Gili Islands and Lombok is approximately 1 1/2 hours. The land transfers from South Bali area such as Kuta is about 1 1/2 hours. While from Ubud to Padang Bai is only 30 minutes. 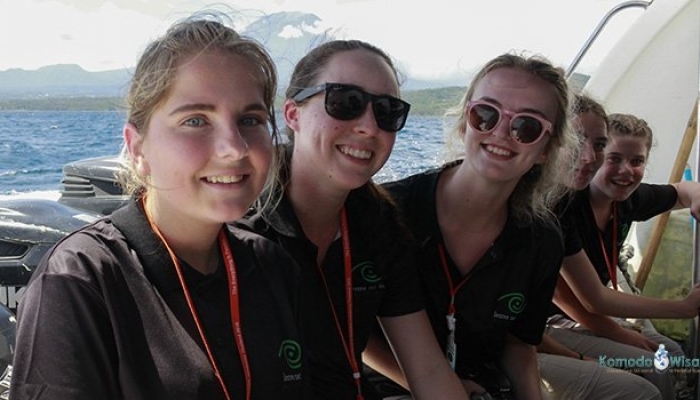 Therefore we recommend you to book a fast boat from Padang Bai if you stay in Ubud areas. If you take the boat from Benoa and Sanur, you need 2 1/2 hours to get to Gili islands and Lombok. And you have shorter times on the land transfers, about 30 minutes from Kuta or Legian. The boat from Amed to Gili islands and Lombok is approximately 1 hour. 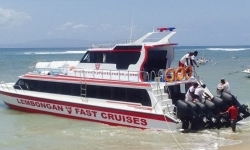 The fast boat Bali to Nusa Lembongan is spending approximately 30 minutes from Sanur beach. And the boat to Nusa Penida is spending about 45 minutes from Sanur. 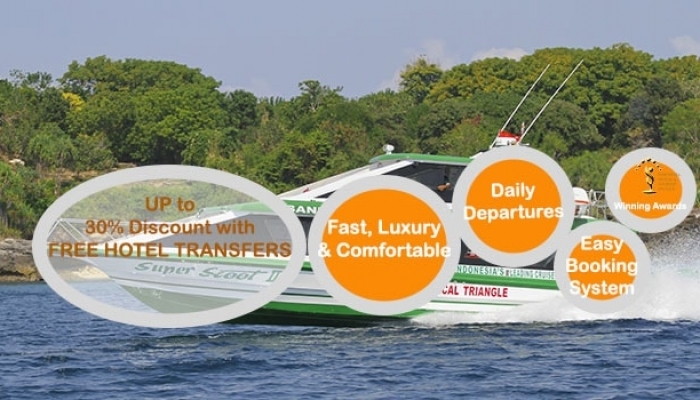 Most of the fast boat operators offer free hotel transfers from some specific areas in Bali. The transfers covered areas in South Bali such as Kuta and Seminyak. They also offer free transfers from Ubud areas. The Amed areas, hotel transfers are providing by Kuda Hitam Express and Freebird Express II. These two boat operators are the only fast boat operate from Amed, the Northeast Bali. On Nusa Lembongan and Nusa Penida, the boat operators offer free hotel transfers. 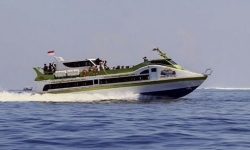 The Rocky Fast Cruise and D'Camel fast ferry provide free hotel transfers on Nusa Lembongan. And Maruti Duta Express provides free hotel transfers on Nusa Penida. 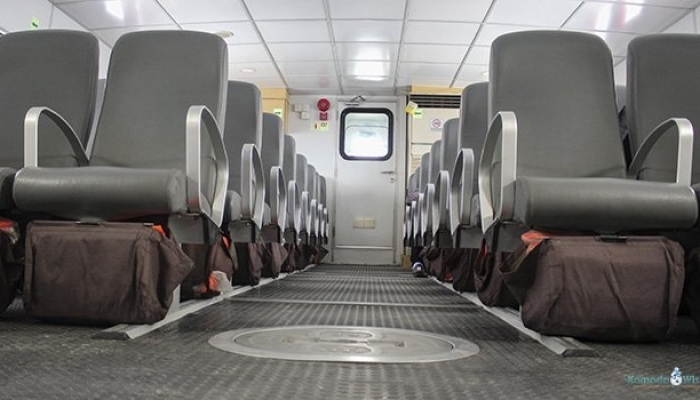 The fast Boat operator is not providing free hotel transfers in Lombok and Gili islands. So when you are in Lombok and decided to take the fast boat to Bali, you need to arrange yourself.